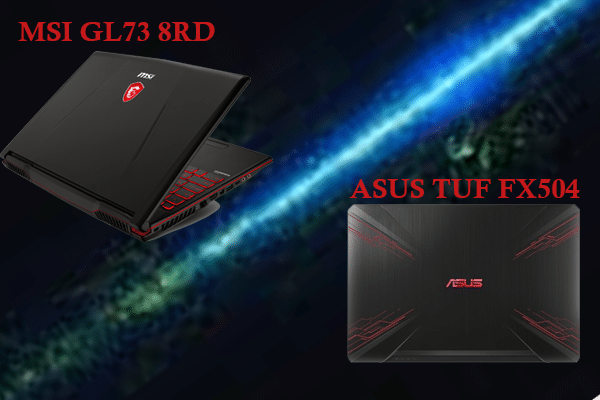 Home Gadgets Laptops ASUS TUF FX504GE Or MSI GL73 8RD – Who Wins? Talking about Gaming Laptops, the first thing that I would personally check will be the processor & then other specs. 8th Generation laptops being the current trend in the Gaming Laptop market, here we are here to compare ASUS TUF FX504GE with MSI GL73 8RD. Both these laptops power the 8th Generation processor and NVIDIA GTX1050TI’s making this worth comparing. 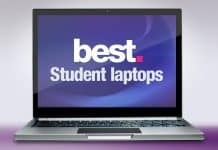 By the end of this comparison, you will have a better idea on choosing the right laptop. Note: The Specification might differ as per your country. If you have any query ask us in the comment belwo. Talking about the Display, both have a tough competation, but in terms of Size, MSI GL73 8RD takes a clear lead with 17-inch FHD 120Hz display. 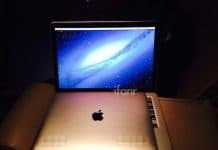 But, if you are looking for options and size is not your problem, then FX 504 comes with 15.4-inch FHD display with an option to select the 120HZ or the 60HZ display. If you are ok with the 60Hz display in the FX504, then you must be aware of the trick. 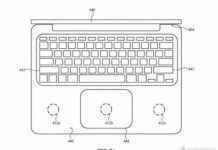 You will have to comporimise on the processor as the i5 varient supports 60HZ along with GTX 1050. In terms of display quality, both the laptop comes with an Anti Glare display with an aaverage of 50 to 60 FPS on mid settings and around 45 FPS on high setting. In terms of performance, bot FX504 & MSI GL73 8RD are quite equal in terms of performance. Both the laptop have the NVIDIA GTX 1050Ti, but the FX504 top end model comes with a GTX 1060 with 6GB DDR3 RAM with a clear win over MSI. Talking about MSI coming with just NIDIA GTX 1050 Ti with 4GB GDDR5 RAM varienat, ASUS on the other hand have 4 varient. ASUS FX504 gives more options, where MSI stick to just one. Whereas processor & chipset is a concern, both have the exact same model. Apart from this, both has equal amount of RAM upgrade options, but MSI comes with 16GB straight out ofthe box, whereas FX504 with 8GB. Talking about performance, ASUS’s top end model gives better performance in gaming with their GTX 1060. There is a slight difference that you will notice when you play in the GTX 1050Ti & GTX 1060. There is no major difference in terms of connection ports. In FX 504 you will find 1xCOMBO audio jack. 1xType-A USB2.0, 2 x Type-A USB 3.1, 1 x RJ45 LAN jack, 1 x HDMI, HDMI support 1.4. On the other hand, MSI GL73 8RD comes with 1x Type-C, 3x Type-A, 1x RJ45, 1x SD (XC/HC), 1x HDMI with 4K @ 30Hz & a Mini-DisplayPort. Talking about options, ASUS FX504 have a clear win over the top end model, but does not have a better build quality that the MSI. On the other other hand, MSI is quite bulky & weighing 2.7 Kg’s making is not very travel companion. I would prefer to go with ASUS FX504 over MSI GL73 8RD as it’s light weight & better graphics. Where as price is a concern, ASUS aain takes the lead, where it cost way cheaper than the MSI GL73.